Around the ninth episode, we stopped gluing the mask to my face and switched to a mask that just slipped on and off with a zipper. That made me a very happy superhero. That’s right, the tight-fitting red suit that Grant Gustin sports on the popular CW drama used to actually feature a mask that had to be glued to his face during the filming of the TV series. Anyone who has ever worn a mask for a Halloween costume, a job or other purposes knows that it can be a sweaty prospect, and Gustin tells TV Insider he was relieved when he was finally able to take the mask on and off with the aid of a zipper. 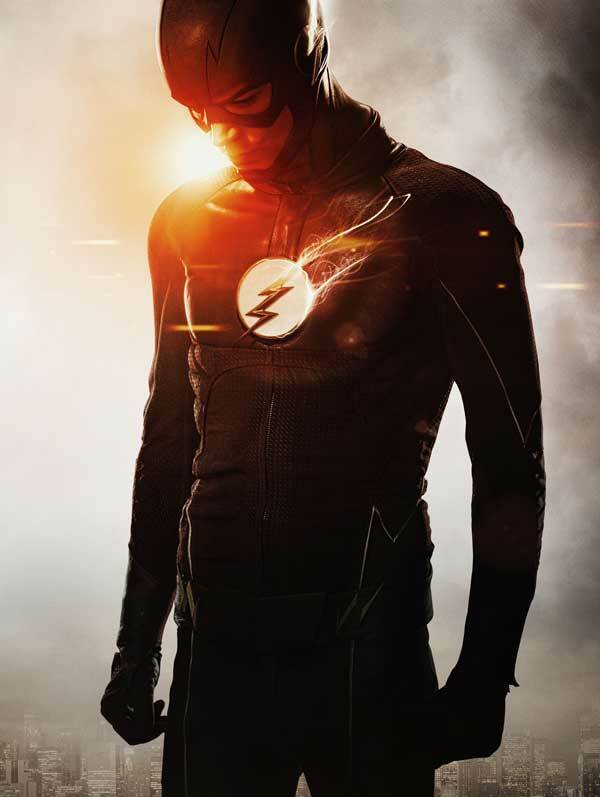 In fact, overall it seems as if changes were made to make Barry Allen’s suit more comfortable during the first season. Minor alterations were made to make it easier to bend all of my extremities, but nothing about the look of the suit changed [during Season 1]. If you’ve been keeping tabs on The Flash Season 2, you should already know that Barry Allen will be rocking a brand new suit this time around. At San Diego Comic-Con, we got to take a look at the brand new suit, which hopefully features a zipper mask, just like the Season 1 suit did later in the TV season. You can check out the new look, complete with a different colored-symbol, below. The Flash will be suited up and back in action soon enough. New episodes will begin airing on Tuesday, October 6 at 8 p.m. ET. The CW’s sibling superhero series will air a day later, while third series Legends of Tomorrow will air at midseason. Hopefully no glue will be involved in any of these productions. Check out other premiere dates, here.